(11) Photos Printable Brochure Apply For Credit Vehicle Inquiry Text Us About This Vehicle! METICULOUSLY MAINTAINED AND CARED FOR ONE OWNER BIKE HERE THAT HAS NEVER SEEN A WET ROAD AND I CHALLENGE YOU TO FIND A BLEMISH ON IT.....TOTALLY CUSTOM AND UNMOLESTED PERFECT BIKE HERE THAT IS FINISHED IN THE VERY HARD TO FIND FLAT GRAY....ONLY DRIVEN 2300 MILES AND LOOKS JUST LIKE IT DID THE DAY IT WAS BOUGHT NEW....IF YOUR IN THE MARKET FOR A NEW BIKE, CONSIDER THIS ONE AS IT'S ABOUT $4K CHEAPER AND JUST AS NICE. 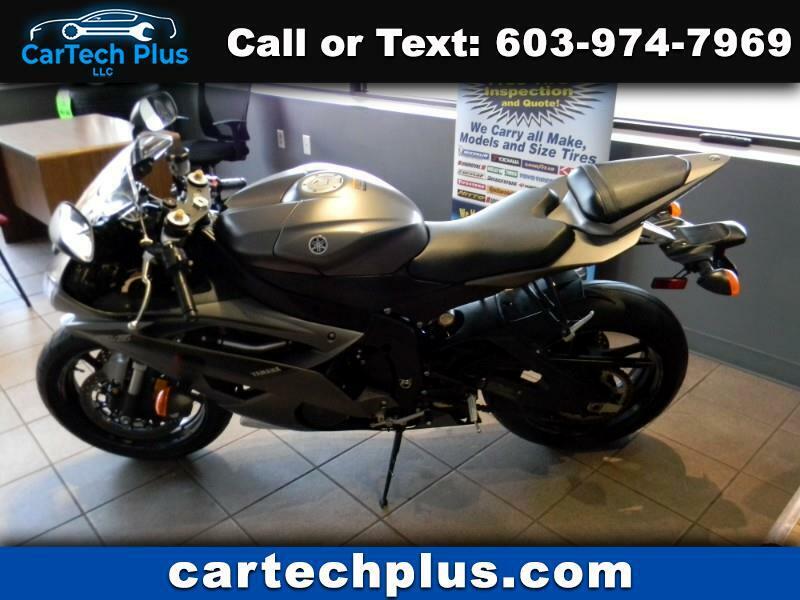 Message: Thought you might be interested in this 2016 Yamaha YZF-R6.